We are glad you are tracking the changes coming for the SAT Exam! Note 2: Even after March 2016, the SAT will continue to test the same four (4) skills (math, reading, logic, and grammar--vocab will be tested inside of reading to some degree). So Roughly 95% of the exam remains exactly the same as before because the skills don't change. Most of the changes are cosmetic and not substance. Note 3: There are NO announced changes to the ACT. 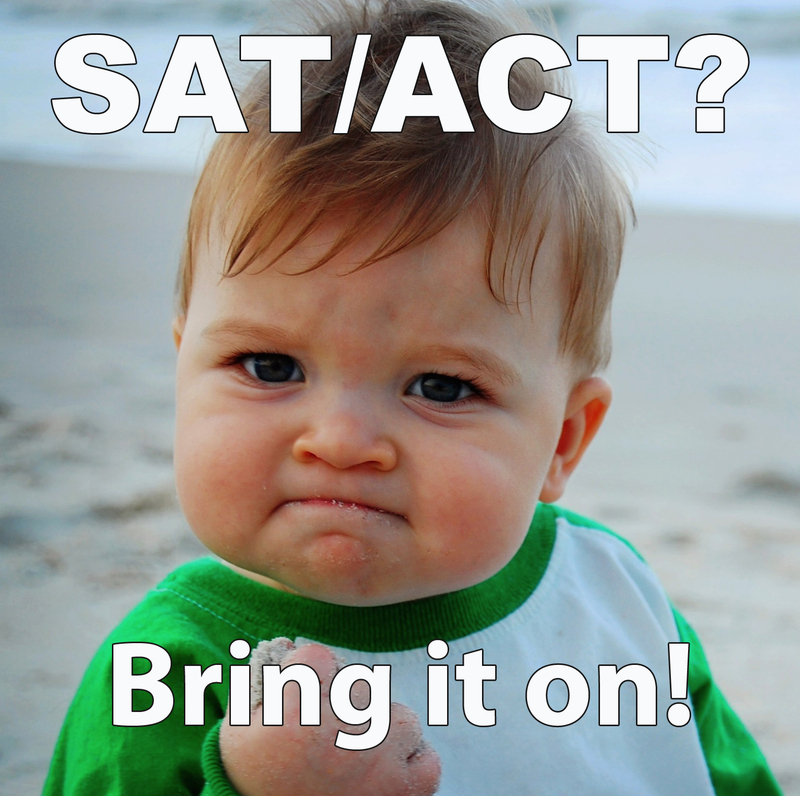 Note 4: All colleges and universities accept BOTH the SAT or the ACT. About Application: What if I take the exam before March 2016 but don’t apply until 2016, 2017, or 2018? Graduating class 2016: ALL colleges will accept the SAT results from pre March 2016 exams. Graduating class 2017: ALL colleges will accept the SAT results from pre March 2016 exams. Graduating Class 2018: You should check with the admissions office of your college to see whether they will accept pre March 2016 SAT exam results—some will and some won’t. For the next two years—a pre March 2016 SAT exam will be accepted for all applications in 2016 and 2017 and some/most in 2018. If you or your student will be taking the SAT before March 2016 and applying in 2016 or 2017 nothing changes for you. Stop reading! We will be releasing our new SAT materials keyed to the March 2016 and after beginning in the late fall of 2015. The changes to the SAT are mostly cosmetic (not content). They are changing their layout, number of questions, length per question, and scoring to come more in line with the ACT (because ACT was taking market share). While we will be making some adjustments to our content, our existing materials will prepare a student for the new exam because we focus on teaching skills and real content...not tricks or gimmicks. Nevertheless, some of the question types will change slightly. However, they are still going to test the four basic skills: Math, Reading, Logic, and Grammar--(vocab is tested to a lesser degree inside of Reading and Logic)...like I mentioned, our materials are focused on teaching these skills regardless of the format. We hope this helps. Please contact us directly if you have further questions. Important NOTE: If you have concerns about the "New SAT" and don't want to be a guinea pig for their first few administrations, consider just taking the ACT instead.